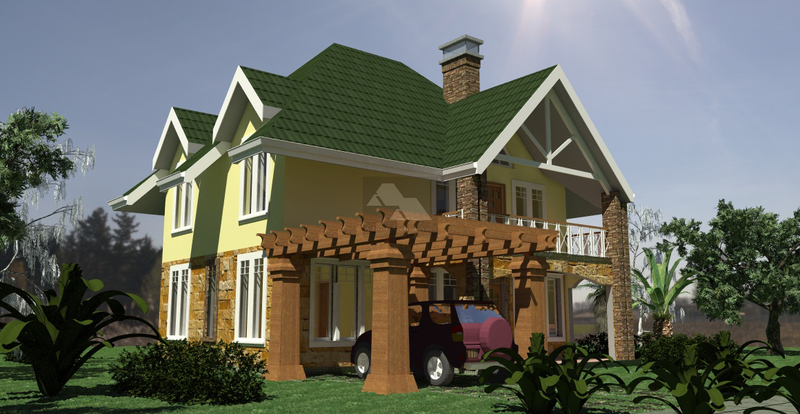 Two bedroom house plans in Kenya are the dream of many a developer, interested in making returns from the real estate market. 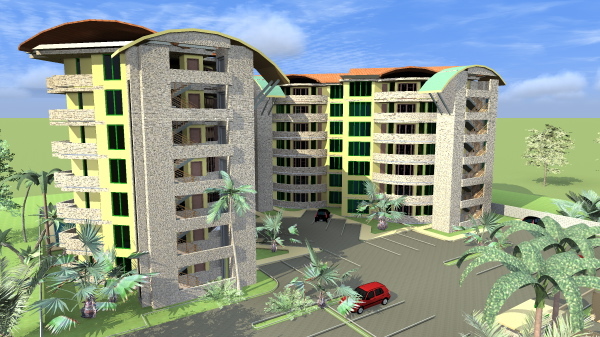 These developers engage architects and other consultants who are charged with the responsibility of ensuring that the properties so constructed are functional and will maximize returns for the developer. However different issues shape the success of such a real estate project, which a developer should take into cognizance. The development of two bedroom house plans in Kenya should only be considered after an interested developer has carried out an extensive feasibility study to ensure that the units so targeted are likely to be taken up by the market once they are ready. 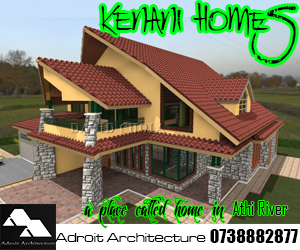 It is true that such two bedroom house plans in Kenya are quite viable in most instances and are popular with small families. However, it still is a good idea to properly investigate the market to see if other housing types may be more viable under the circumstances. 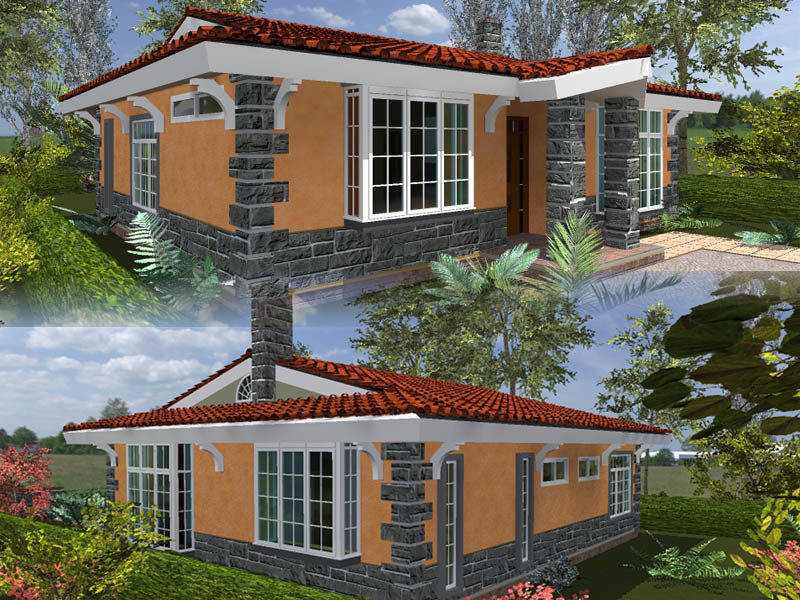 Demographic trends as regards two bedroom house plans in Kenya. Two bedroom house plans are likely to be popular with small nuclear families that may be pretty young in maturity and likely to be in the middle income bracket. They may not have the need or the means to invest in larger residential space but require some basic separation of bedroom space for privacy for the parents especially. A vast proportion of young working class individuals may fall in this bracket, especially if they have young families. In addition, the premium for two bedroom house plans in Kenya may exist in areas that have a reasonably large population of such an age bracket. In many areas, one would find that such units are not owner occupied but mostly rented out for the same reasons stated above. It is interesting to note again that despite the need to have two bedroom house plans in Kenya to be accompanied by requisite parking space, it is often the case that many young families in Kenya living in these units may have a car or two, mostly a single car. Adequate space therefore needs to be made for vehicle parking for residents of these units, at a ratio of at least one vehicle parking per home. Actually, within the city’s environs, municipal authorities have previously used guiding ratios of 1 vehicle parking per 80 square meters of space, and in some residential areas can even demand 1.5 to 2 vehicle parking’s per homestead. Whichever the case, vehicle parking should be properly administered and accompanied by necessary street furniture to allow ease of washing vehicles and drainage of water, especially in shared compounds like in apartments. When developing two bedroom house plans in Kenya, it is usual for developers to provide ranges of floor plans that range from approximately sixty square meters to as much as eighty to ninety square meters. This would vary in this way based on the plan layouts that the architect comes up with in conjunction with the developer. Usual space provisions for two bedroom house plans in Kenya range from provision of a living room, a kitchen, dining area, cloak room, bathroom and of course, two bedrooms. In some cases the developer may demand slightly more elaborate provisions for two bedroom house plans, including provisions for ensuite bathrooms, separate storage areas, laundry area and similar utility space. Of course all these have a bearing on the quality and cost of the unit, and more feature rich options would be priced at a premium.. Proper market research should guide a developer interested in developing two bedroom house plans in Kenya as there exists a graph of expected demand and returns compared to the cost of each unit. It may be examined that the cost of a two bedroom unit per square meter may be more than the cost of a three bedroom unit in some cases due to more rooms sharing the same common facilities. However the onus is upon the developer to be sure that they have conducted requisite market research before plunging into a new niche. This includes ascertaining costs of developing two bedroom units and the pros and cons for doing so. 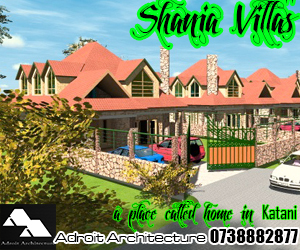 Proper planning will grant success to the individual building two bedroom house plans in Kenya. A developer constructing these units ought to make sure that the financial implications for developing these units balance favorably with the returns that are expected from the sale or rent of these residential units. 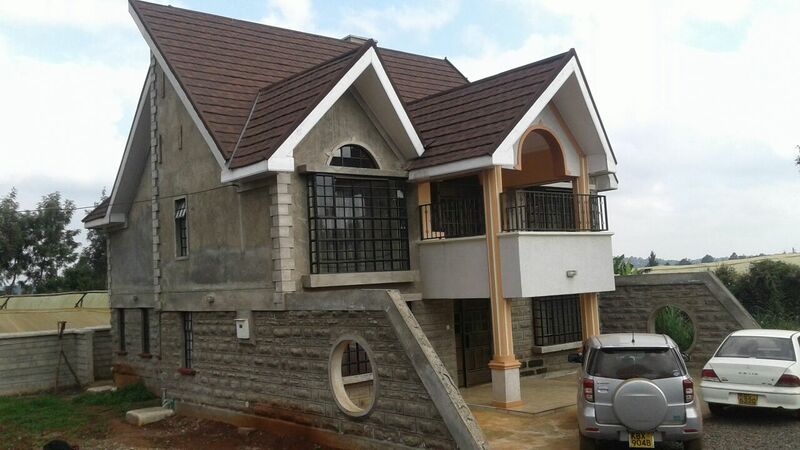 What sort of house plans in Kenya are most suitable for two bedroom types? As previously mentioned, the biggest demand for two bedroom house plans in Kenya comes from small families, especially within urban circles. 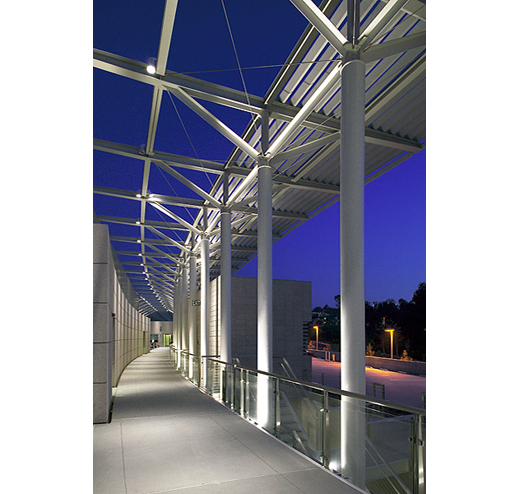 This means that they are more often developed in the context of multiple dwelling developments, i.e. 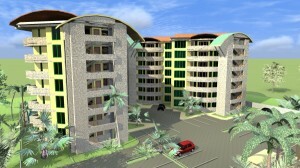 flats and apartments, rather than in stand-alone units, which favor having more bedrooms. Due to their reasonably small plinth area, they may be easy to construct and fit more units as compared to using a different kind of house plan. Regular tenants looking for moderately sized and comfortable residential space will often quickly take them up. Balancing these issues can give a developer the picture as to whether to develop these house types or opt for others of smaller or larger nature. 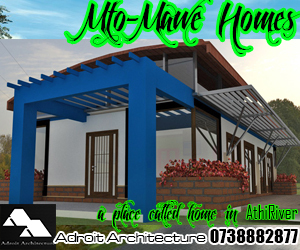 However in many cases the factors of land, economy and perceived marketability overwhelmingly favor this kind of housing, and it is no wonder that there are plenty of options available in the market with regard to two bedroom house plans in Kenya.